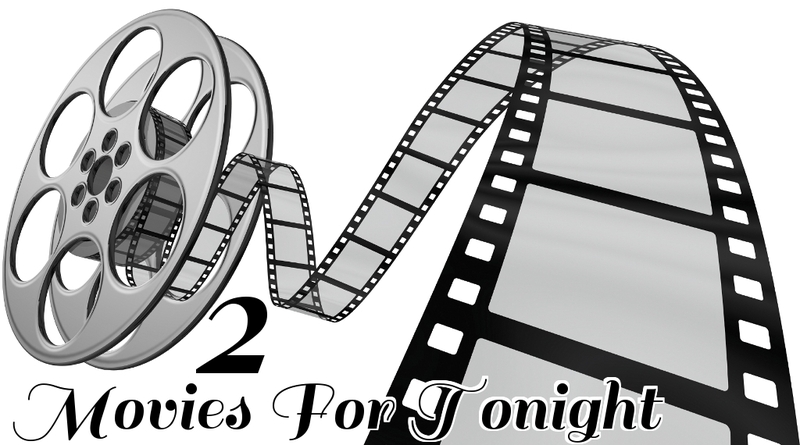 Looking for something to watch tonight? Maybe don't have time for tonight but your lining up your weekend? Well don't worry! Right here is two movies for tonight or any other night in the week that will entertain you. I am a deep lover of the Rocky series. I have fond memories of growing up and watching these movies. Stations like TNT and TBS would pull Rocky out for every holiday and do marathons so in my house it was pretty common to be eating thanksgiving turkey with some Rocky Balboa on in the background. While some may view and label these movies "just about boxing" they are in reality about so much more. It's the heartache, the daily struggle and about finding the strength within to go for your dreams. 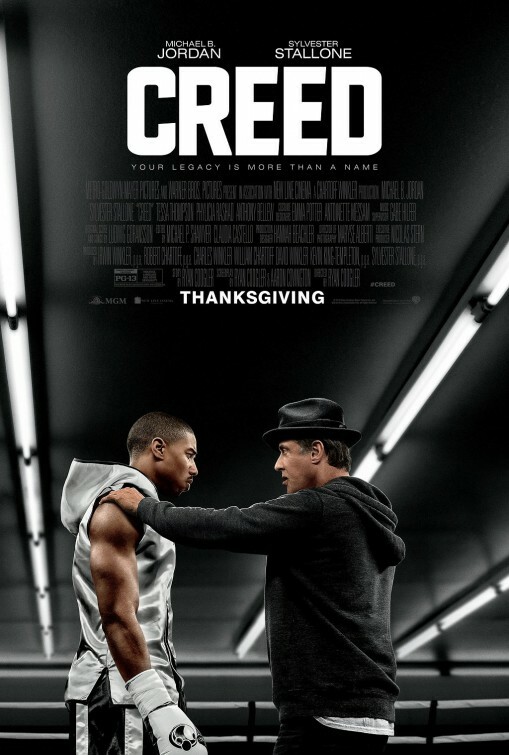 I really enjoyed Creed and thought it was a great installment to the series. Stallone completely deserved his Academy Award nomination and in my eyes should have won for best supporting actor. I had been meaning to watch this movie since I saw the previews for it being in the theater. Then life happens and you get busy. Well this past weekend I finally watched Aloha. I'm a big fan of Emma Stone and Bill Murray and in all actuality most of the cast for this film. So when I saw it on HBO the other day I knew it was meant to be to finally sit down and watch it. I thought it was different. It wasn't exactly what I thought it was going to be aka your normal romantic comedy. It was tricky and you had to watch what was going on so you would catch things in the relationships. I liked it though. Aloha stars Bradley Cooper as Brian, a military contractor who's came back to Hawaii after being gone for thirteen years. He's there on behalf of Billionaire Carson Welch (Bill Murray) to secure a blessing from Hawaiian natives for a new pedestrian gate. He's assigned to a military liaison Captain Allison (Emma Stone). While Brian doesn't want to be babysat by Allison he realizes that her love of Space reminds him of his own childhood. One kink in his trip back to Hawaii is his ex-girlfriend Tracy (Rachel McAdams). Tracy now has two children and an Air Force husband. While Brian meets up with Tracy for dinner and gets to know her family. He also starts to see his baby sitter Allison in a different light. Allison who is climbing the ranks in the Air Force is loved by all of her co-workers while Brian is not well liked among people who he use to know in Hawaii. Along the way, kinks will come up for Brian and things from his past will affect his future. Will Brian regret going back to Hawaii after being gone for so long? Watch and find out. 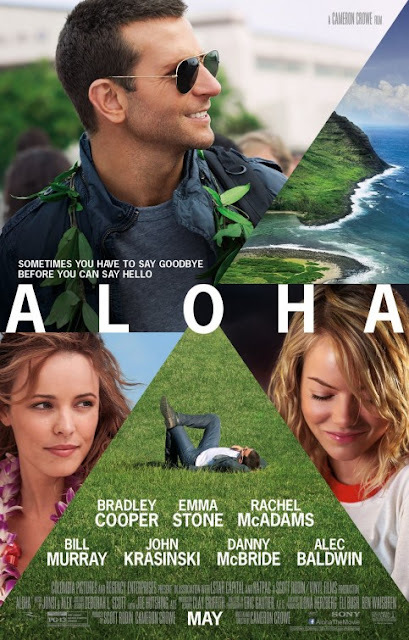 I thought Aloha was likeable and terrible at the same time! You definitely had to pay attention to understand what was going on, I thought the plot was all over the place!